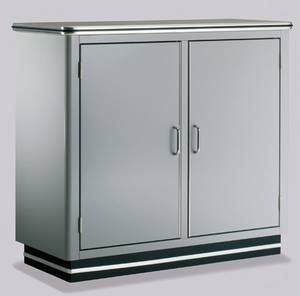 Description Contemporary metal sideboard made from sheet metal with a high-gloss acrylic finish. 2 lockable metal doors, black laminate top board and internal shelf. Chrome handles. There is the option to chose drawers instead of a door at either side.